We remove the mold and fix the damage to make it better than before! Call us today for professional mold remediation. Significant mold cleanup is best left to professionals who have the proper training and equipment to fully remove the mold contamination and prevent it from returning. Atlanta, Georgia, homeowners and businesses can rely on Abatement Solutions Inc. for all of their mold removal needs. We guarantee that after we have completed mold cleanup work in a living or working area in a structure, we will have an independent inspector test an indoor air sample and provide you with written confirmation that we have eliminated the mold problem. Water extraction and drying – Mold requires moisture to grow, so we will locate and extract any source of moisture that might allow the mold to return. We will use drying tools such as water extractors, air movers, and dehumidifiers to remove the moisture. Containment of mold spores – The larger the mold contamination, the greater the chance we will need to contain the infected area with a plastic containment barrier prior to mold cleanup. We will use an air scrubber to put the area under negative pressure and prevent mold spores from floating into uncontaminated sections of your Atlanta, GA, home or business. Disinfecting the surfaces where mold had grown – We will use a low-VOC cleaner and an EPA-registered disinfectant to clean and remove the mold and also eliminate a wide range of other dangerous pathogens from the at-risk surfaces in the building. After we have completed the mold cleanup, we will spray a protective coating on unfinished surfaces such as drywall and framing to ward off mold growth. We back this preventative treatment with a 10-year warranty for your peace of mind. Finally, to return your home or business to its original condition, the way it was before the mold damage occurred, our team can complete any general construction work needed to replace your walls, trim, or other products or fixtures. Contact Abatement Solutions today to discuss your mold cleanup needs with one of our certified mold remediation contractors. We serve residential and commercial customers throughout Atlanta, GA, and nearby areas. Mold can be dangerous. Please do not attempt to remove it yourself. Abatement Solutions did a thorough job of removing the mold in my crawl space. I have peace of mind now that the mold will not return and it’s even backed up with a warranty. I recently recommended Abatement solutions to a friend. Thanks so much for all of your help! You’ve been great to deal with! Will let our freinds know. My clients used Abatement Solutions for mold removal and couldn’t be happier...v His mold removal and remediation was excellent and he personally responded to any questions or concerns we had. I highly recommend! 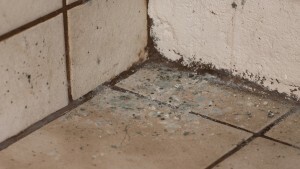 Why is Effective Mold Remediation so Important for Your Home or Business in Atlanta, GA ? Mold Remediation Issues Explained: What is Black Mold? And What Threat Does it Pose to Your Home or Business in Atlanta, GA?